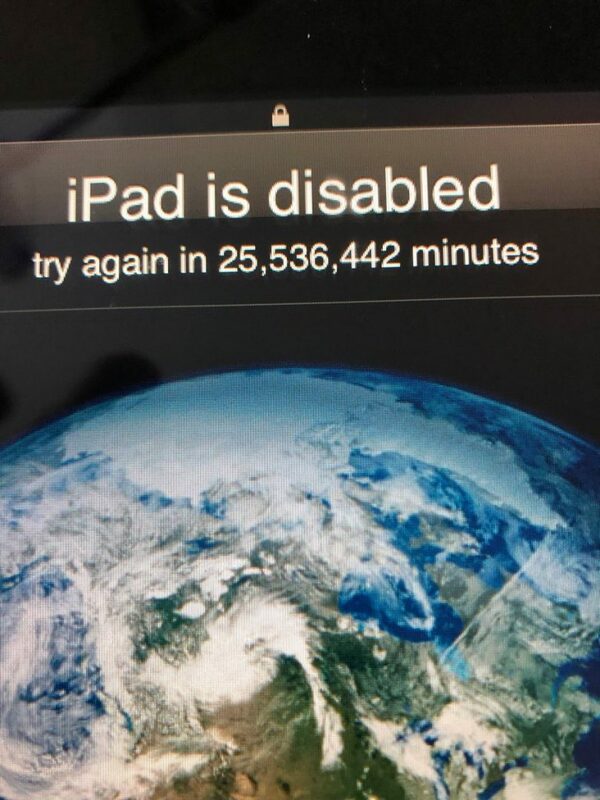 More than 25 million minutes or 48.5 years converted: if this man from Washington wants to use his iPad again, he will have to wait a long time. Fortunately, the message on the screen sounds a bit more dramatic than it actually is. 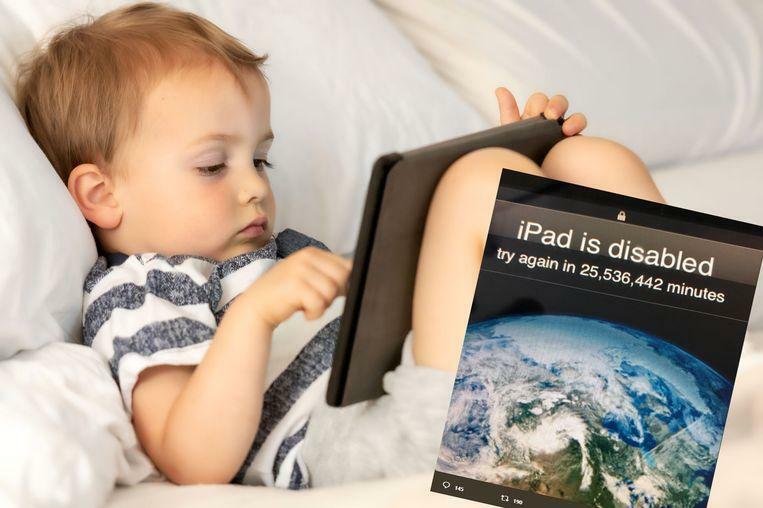 If you make a mistake too often, you will end up with a locked device. The more wrong attempts, the longer you have to wait before you can take another chance. It should be clear that this child has done his best. The hefty message on the screen, however, mainly serves as a deterrent method, so that a (long) break can be inserted. Thanks to a reset via iTunes you can then get the iPad working again. You will then lose all data unless you had arranged a back-up in advance.